by Rev. 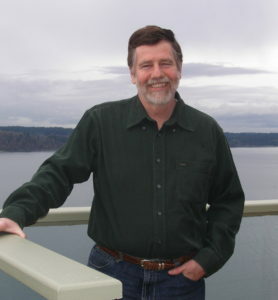 John C. Robinson, Ph.D., D.Min. Like all of us, I am deeply worried about our world. The Earth and its peoples desperately need a renewal of real wisdom to handle the ever more complex and dangerous problems confronting all life. I believe we have the wisdom to change things—if we can learn how to find it. We all need wisdom to live lives that are productive, meaningful and loving. Yet we don’t often search for it very deeply, both because we don’t think we have the time or ability (“Who Me? Where would I get wisdom?”) and because it’s so easy to be absorbed by the collective opinions of society and its experts (“After all, don’t they have the answers?”) As a consequence of such beliefs, we lose access to the most important wisdom source of all: our own. So, what is wisdom? The dictionary defines wisdom as being the accumulated philosophic, religious, scientific, or personal knowledge of an individual or culture—and, of course, the ability to use that knowledge effectively. My definition of wisdom, however, goes to a different place. Specifically, it takes us into a deep inner knowing that may or may not fit with existing cultural wisdom or life experience. In this context, wisdom comes not from conscience, knowledge, tradition, or belief, but from who you are most deeply inside. This is directly related to purpose. So in knowing our true being, we find both our unique gifts—literally why we were born!—and our place in community. This is the beginning of real wisdom. But there is more to this theology of wisdom. We are each part of the unfolding Cosmos that the mystics tell us is a living, conscious, intelligent Being, constantly revealing and evolving itself. Because we are literally part of that Being, we potentially have access to its consciousness, creativity and wisdom. 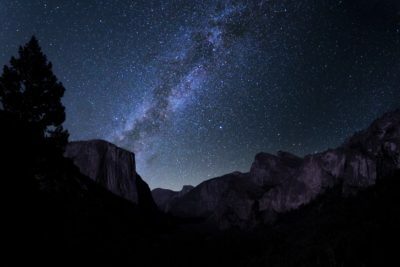 In other words, our wisdom—that is, our own deep knowing—actually comes from our connection to the living Cosmos. Listening to this inner knowing allows Creation to use us according to Its wisdom. Wisdom, then, is literally revelation happening. Deep wisdom also understands that damage to the wholeness (and holiness) of Creation—that is, wounding to the peoples and processes of Earth—generates the need for and stimulation of Its wisdom to heal our lives and communities, and to return us to sacred ground. It follows from all I have said that wisdom is not a deductive, logical or external process. It is not something we can just figure out or learn from a book. Analytic and scientific thought are extremely valuable (thank God for the scientists helping us understand climate change! ), but wisdom is something more. Wisdom reveals the deep personal significance of events, situations, and problems. It reveals what it means to you, and it evokes your unique creative gifts as part of the solution. Wisdom, then, is the very structure of the Universe, the very fabric of Being—including our own being—showing us how to heal and how to live in harmony, compassion, and peace. In other words, if you want to answer the big questions, learn to go within to access this deep inner knowing. As Inayat Khan concludes, “The Sufi recognizes the knowledge of self as the essence of all religions” (from “Ten Foundational Principles of Universal Sufism” by Hazrat Inayat Khan). Religion is humanity’s attempt to answer its most important and pressing questions. So it is that our questions eventually lead us back to God or the Great Mystery—not only because they are essentially questions to God, but because our deep listening for a response takes us into that Silence beyond questions, which is God. It is this process that produced the Wisdom Literature of the world’s great faith traditions. We don’t have to be “experts” to have wisdom. I believe that there is wisdom in every person, group, life form, situation, thing, experience, and problem. From this wisdom flows action that is meaningful on the personal, community, Earth and spiritual levels. As the metaphor goes, there is “one river but many wells.” Each of us can learn to access this deep underground river of wisdom to renew and re-energize our life and work, and to contribute to healing, improving, and serving the world. The purpose of ultimate questions, then, is to bring up our own personal wisdom in simple, powerful and effective ways, to serve the Earth community and its future generations. Each of us is critical to this process. Indeed, each of us has our own personal “Wisdom Project”—a unique work in the world. Our answers are the answers the world needs here and now, in this place, at this time. We might even say that the world itself is the question, and our life—and how we live it—is the answer. We each have something infinitely precious to give to Creation, and in giving it we find our true place in the Universe.